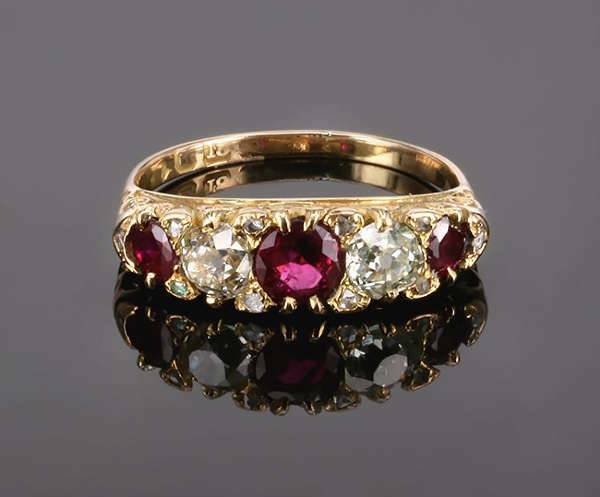 Rubies are one of the precious stones selected for wedding rings. 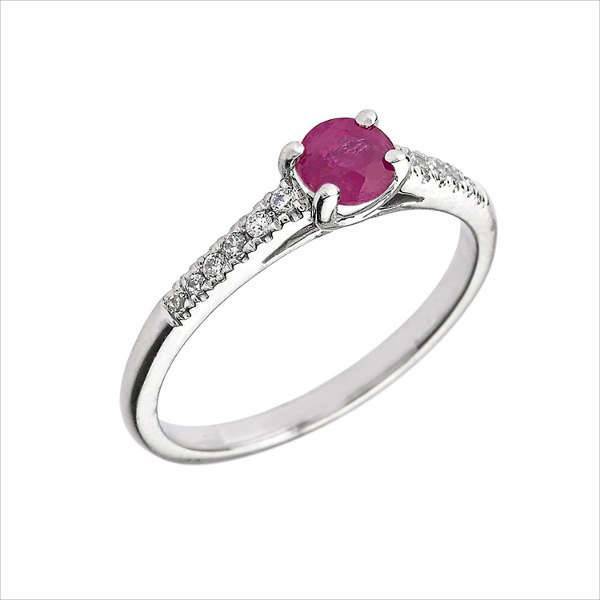 The visual charm of the stones is the main reason for which people opt for ruby rings. With a lot of variation in shape, sizes and dimensions, Ruby engagement rings offer a lot of features for customization. Besides, the taste and aptitude of the people also influence the choice of a particular ring. 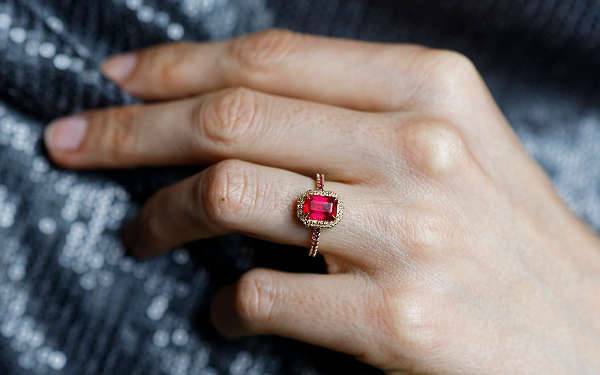 Here are ten beautiful engagement ring designs made of ruby that you may find living up to your taste. In this ring, the beautiful halo cast around the stone is something you will love. The red stone in the centre is surrounded by small diamonds. The pear-shaped stone is set on a golden frame. The ring shimmers with beauty, and this is an ideal wedding gift. You can opt for this engagement ring to enhance your class. 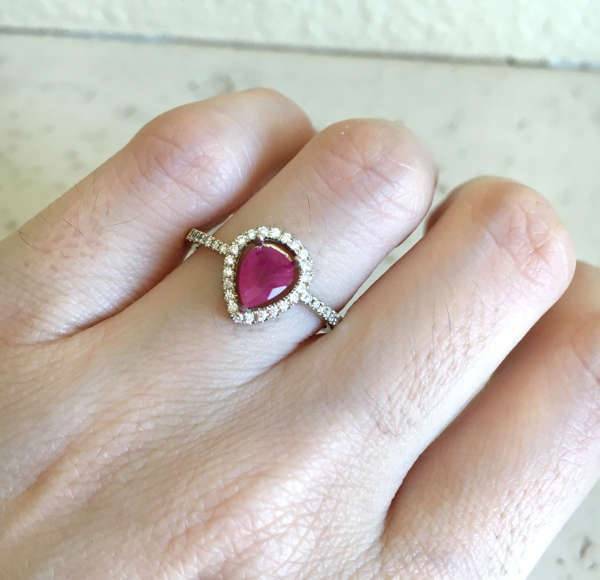 Vintage ruby rings are popular among the people. in this ring, the purple and shiny silver colour of the stones bask in beauty. It is elongated in shape, with a large stone in the centre. The ring has long edges and looks sophisticated with the purple stone at the base. This ring shimmers in beauty with a single ruby in the centre and as many as twelve diamonds all over the ring. It has a fine polish, and the white gold used in the body looks attractive. The ring has a sleek and shiny finish, and the four projections in the corners of the stone adds to its beauty. 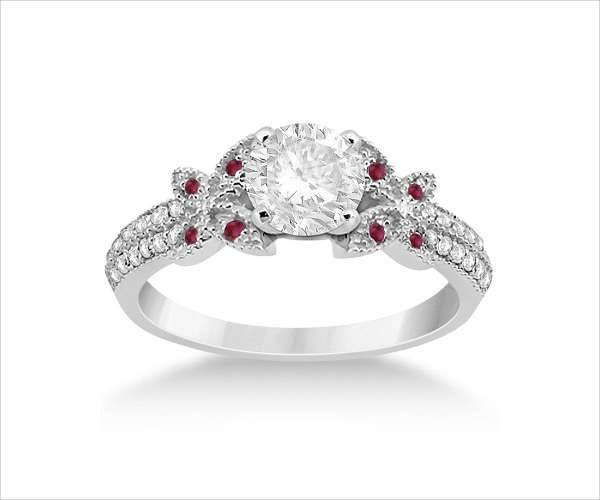 If you are looking out for a ruby-diamond combination in the ring, you may go for this one. With pave diamonds and beautiful rubies, you will get the classiest taste of ornaments in this gem. Gift it for wedding purpose or use it as an engagement ring, it has all the shine and power to refine the looks. 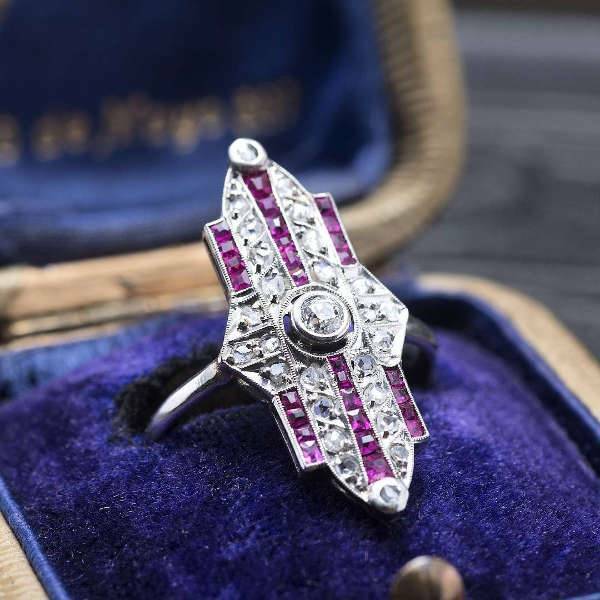 You may be a lover of antique gems, and it so, look out for this ring. It has an alternate setting of red and white stones. The red rubies are large and the sharp-cut edges add to the sophistication. The stones are placed on a gold body, altogether defining the richness that enhances your guise. 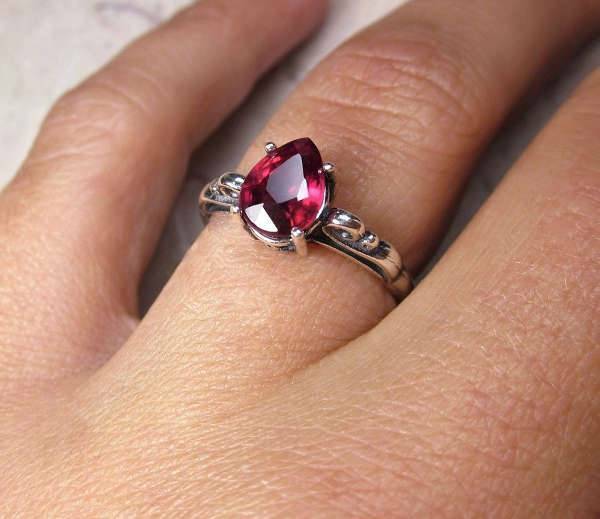 This is a four-double pronged ring made of ruby. The square shape of the stone is complemented with a thin ring. The dark red colour of the polished stone in the centre captures the most attractive spot in the ring. With the polished gem with sharp-cut edges, it enhances the beauty of the ring altogether. 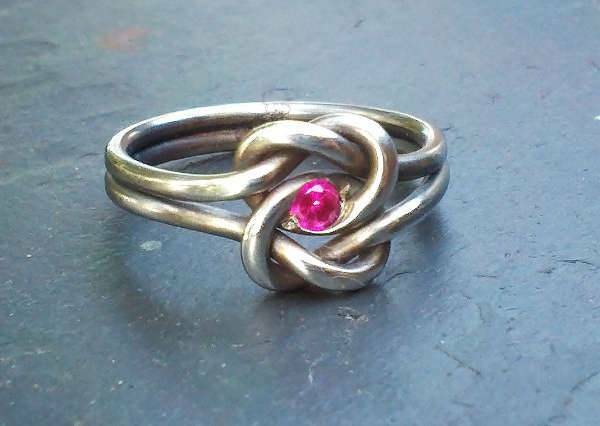 If you are looking out for a Celtic ruby engagement ring, this one may live up to your taste. Innovation drives the design of this ring. The small red stone is placed in the midst of an intertwined metallic body. It is a classy specimen of Celtic ornaments and is apt as an engagement jewel. 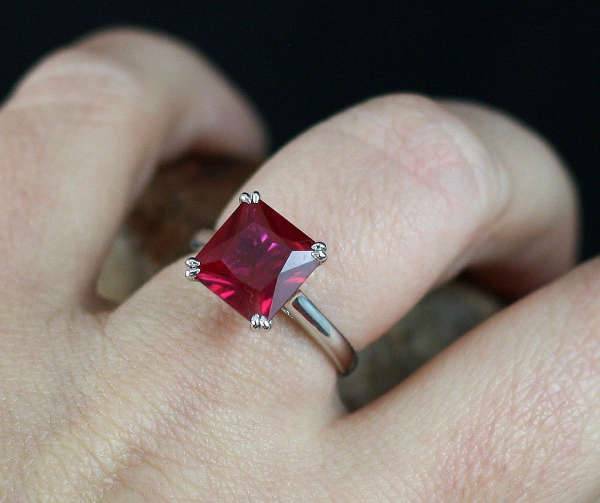 This is a fine ruby solitaire engagement ring with a translucent red tinge. The beautiful pear shape of the ring goes well with the faceting. The strawberry-red hue enhances its looks. Along with detailed art at the edges, the sharp edges emit the shine. 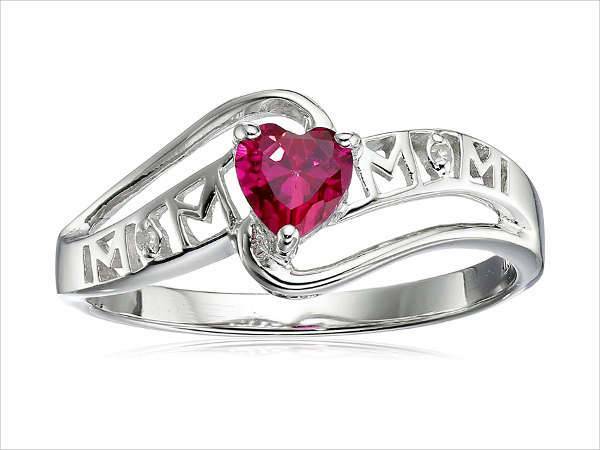 You can choose from these ruby ring designs when you plan to purchase an engagement ring. The right choice of rings make them timeless assets, which have much more than their functional value in them. You may also look out for sapphire ring designs and personalize your choice according to your taste.